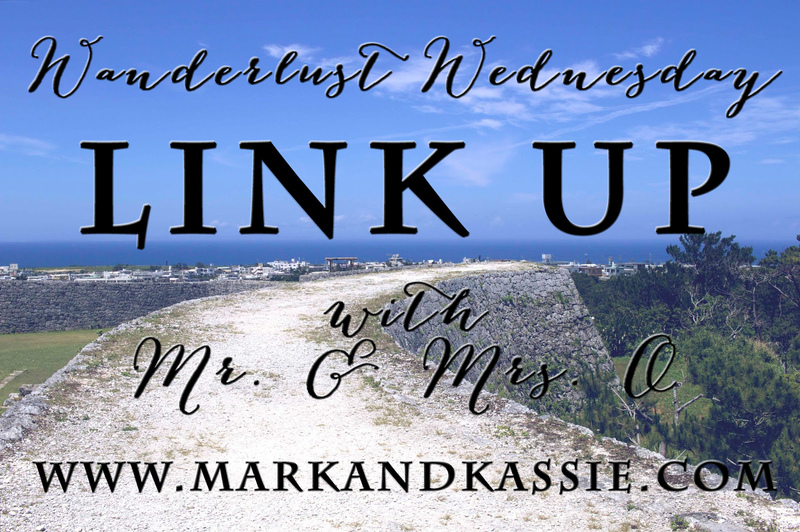 Mr. & Mrs. O: Wanderlust Wednesday Link Up #1!! Wanderlust Wednesday Link Up #1!! Wanderlust Wednesday started when I was trying really hard to get on a 3-day-a-week schedule, but didn't want to overwhelm myself with 3 full posts a week. I wanted a place where I could share photos that I'd taken throughout adventures that either didn't make it into the full post or there wasn't really any reason to have a full post about it. I wanted a place to show off some people/places/things that I'd seen through my adventures and didn't want them to get lost in a sea of never-to-be-seen-again photos. That's been working well for me so far and after a suggestion from my friend, Hannah, over at Fun Flying Four I've decided to turn my Wanderlust Wednesday posts into Link Ups! Below, you will find the details and how to link your posts right here every Wednesday. I'm super excited to elevate my Wednesday posts and look forward to seeing what you all have to share! Wanderlust: strong longing for or impulse toward wandering. If you love Wanderlust Wednesday as much as I do, grab a button and add it to your page!